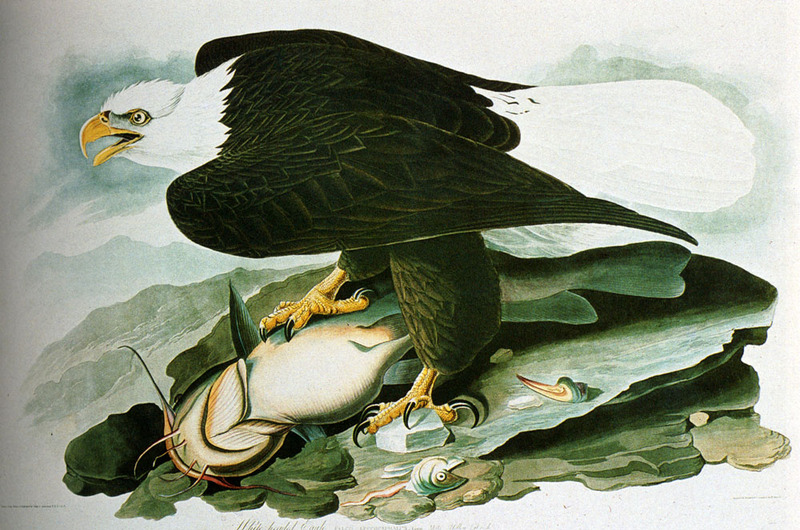 The Bald ­Headed Eagle From Birds Of America by John James Audubon. John James Audubon (April 26th 1785 – January 27th 1851) is considered America’s first great watercolorist of birds and he had a deep fascination that drove him to create his lifetime masterpiece “Birds of America”. 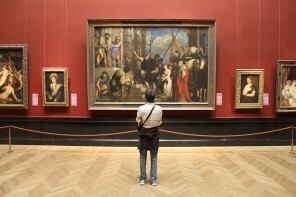 A starving artist early on, his masterpiece publication did not come easy and as you will soon discover! 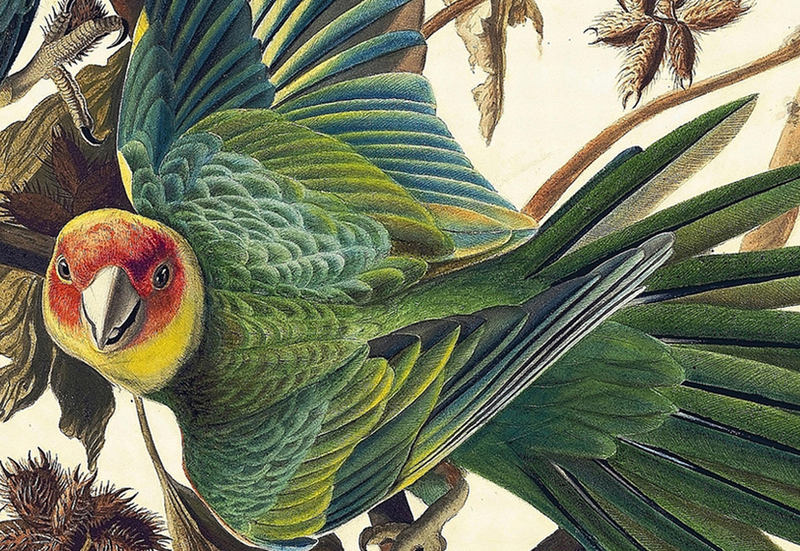 Audubon endured many hardships before finding success in his 40’s. Born illegitimate, Audubon’s mother passed away when he was just a few months old. When John Audubon was 18 years old, he was sent to the United States to avoid him being a part of Napoleon’s army. Originally named Jean Jacques, on the arrival to America, he changed his name to John James to sound more American. As an adult for two decades in America he made several unsuccessful business ventures. 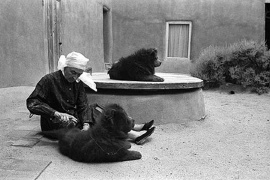 His wife Lucy, a sharp hawk-like looking woman was a powerful and extraordinary woman who worked tirelessly to aid her husband in his landmark work. She encouraged him to focus on his deep fascination of birds. 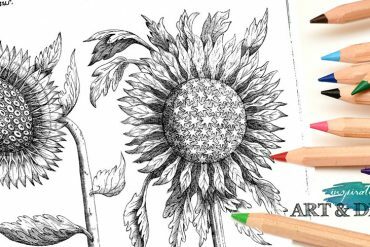 Frequently he used his drawing talent to trade for goods or sell small works to raise cash. He also make charcoal portraits on demand for only 5$ each and gave drawing lessons. Audubon’s views as artist and naturalist presented a dramatic contrast to those of other naturalists of his time. He aimed to show and illustrate each species as close as possible to life size and engaged in a natural pose or activity. Audubon called his work Birds of America. 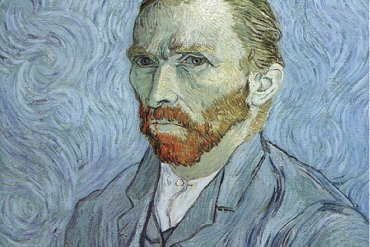 He attempted to paint one page each day however decided his earlier works were inferior and re-did them. He hired hunters to gather specimens for him. 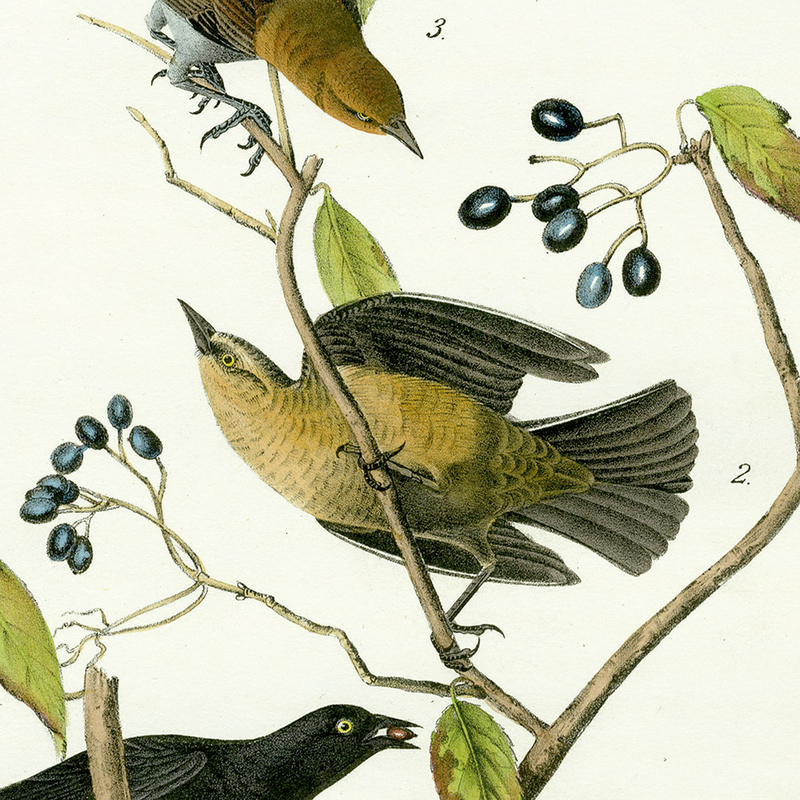 Audubon approached publishers in North America and was disappointed that none would publish his work. He headed to London with his work in search of a publisher and to his delight, the British could not get enough of his images of backwoods America and its natural attractions. 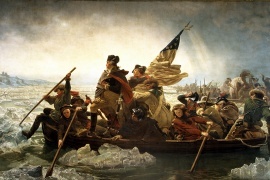 Met with great acceptance he toured around England and Scotland, and was lionized as “the American woodsman.” He raised enough money to begin publishing his Birds of America. This monumental work consists of 435 hand-colored, life-size prints of 497 bird species, made from engraved copper plates of various sizes depending on the size of the image. They were printed on sheets measuring about 39 by 26 inches (660 mm). 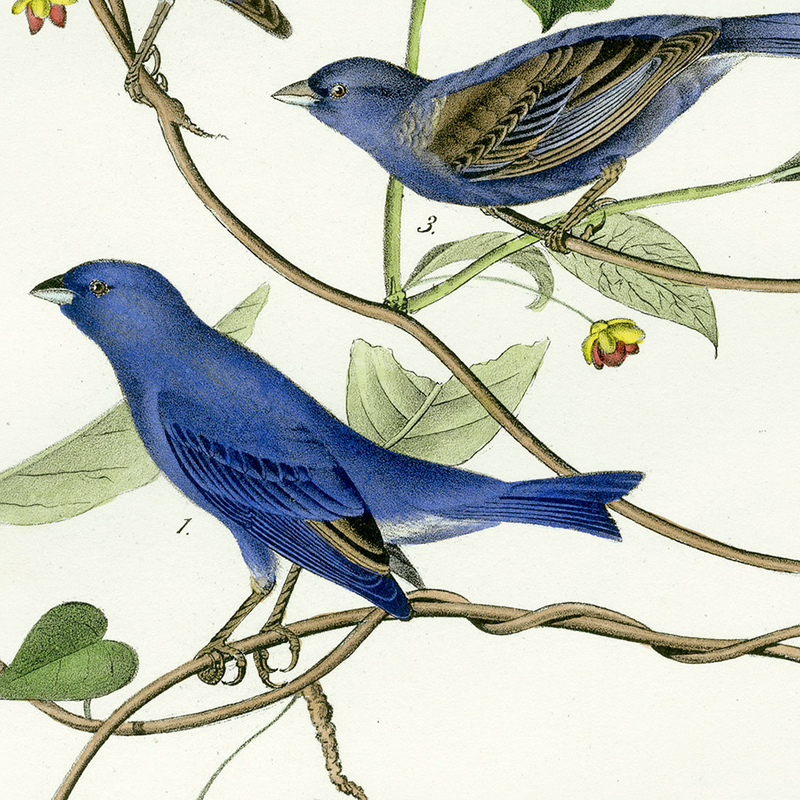 Printed between 1827 and 1838 by London engraver Robert Havell the work contained just over 700 North American bird species. 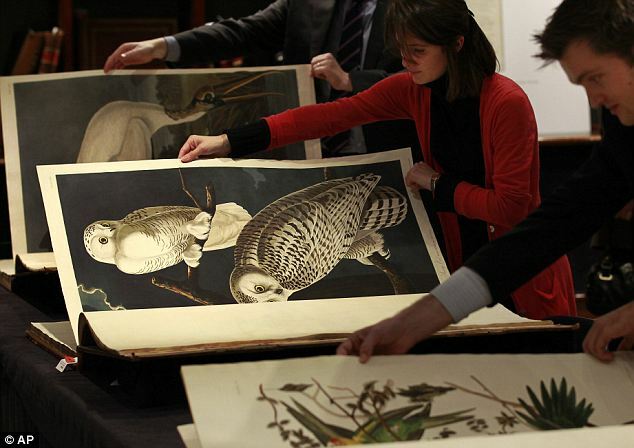 The cost of printing the entire work was an extreme cost of $115,640 (over $2,000,000 today), paid for from advance subscriptions, exhibitions, oil painting commissions, and animal skins, which Audubon hunted and sold. The success of “Birds of America” brought him immediate fame as the book was as close to nature as possible. He was elected to be a fellow at the American Academy of Arts and Sciences in 1930. 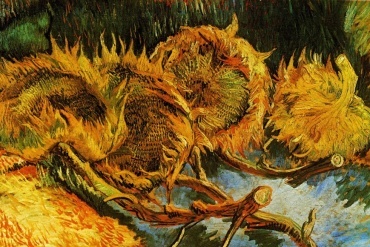 He went on to Illustrate other works before his death at 65. A man with driving artistic passion and affinity for birds he indeed lived the below quote out. Previous articleJim Carrey, the Comedian and Artist? 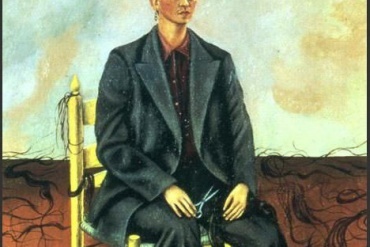 Frida Kahlo Self Portrait with Cropped Hair – What is the meaning?